Leading a meeting? giving a presentation? Heading a workshop? Icebreakers are great for lightening up the atmosphere at the beginning of a meeting or event, and encouraging everyone to participate fully. 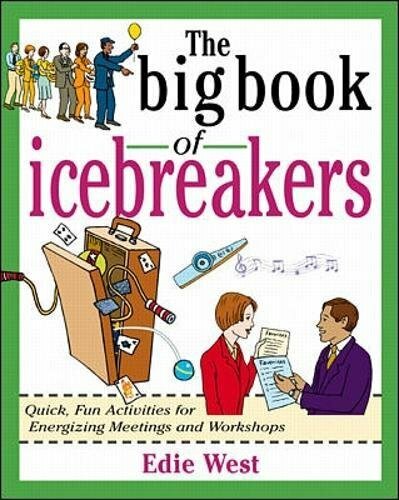 This collection of 50 icebreakers is organized around common business situations and is designed to help leaders start every session, meeting, presentation, or workshop with a burst of energy and fun. Includes icebreakers for sales meetings, team building, complete strangers, introducing a topic, staff meetings, groups over 20, outdoor settings, and more. this latest book in the popular Big Book of Business Games series is the most fun yet!